"Callas" redirects here. For other uses, see Callas (disambiguation). Maria Callas, Commendatore OMRI (/ˈkæləs/; Greek: Μαρία Κάλλας; December 2, 1923 – September 16, 1977) was an American-born Greek soprano. She was one of the most renowned and influential opera singers of the 20th century. Many critics praised her bel canto technique, wide-ranging voice and dramatic interpretations. Her repertoire ranged from classical opera seria to the bel canto operas of Donizetti, Bellini and Rossini and further, to the works of Verdi and Puccini; and, in her early career, to the music dramas of Wagner. Her musical and dramatic talents led to her being hailed as La Divina. Born in New York City to Greek immigrant parents, she was raised by an overbearing mother who had wanted a son. Maria received her musical education in Greece at age 13 and later established her career in Italy. Forced to deal with the exigencies of 1940s wartime poverty and with near-sightedness that left her nearly blind onstage, she endured struggles and scandal over the course of her career. She turned herself from a heavy woman into a svelte and glamorous one after a mid-career weight loss, which might have contributed to her vocal decline and the premature end of her career. The name on Callas's New York birth certificate is Sophie Cecilia Kalos. She was born at Flower Hospital (now the Terence Cardinal Cooke Health Care Center), 1249 5th Avenue, Manhattan, on December 2, 1923, to Greek parents, George Kalogeropoulos (c. 1881–1972) and Elmina Evangelia "Litsa" (née Demes; originally Dimitriadou; c. 1894–1982), although she was christened Maria Anna Cecilia Sofia Kalogeropoulos (Greek: Μαρία Άννα Καικιλία Σοφία Καλογεροπούλου). Callas's father had shortened the surname Kalogeropoulos first to "Kalos" and subsequently to "Callas" in order to make it more manageable. George and Litsa were an ill-matched couple from the beginning; he was easy-going and unambitious, with no interest in the arts, while his wife was vivacious and socially ambitious, and had held dreams of a life in the arts for herself, which her middle-class parents had stifled in her childhood and youth. Litsa's father, Petros Dimitriadis (1852–1916), was in failing health when Litsa introduced George to her family. Petros, distrustful of George, had warned his daughter, "You will never be happy with him. If you marry this man, I will never be able to help you". Litsa had ignored his warning, but soon realized that her father was right. The situation was aggravated by George's philandering and was improved neither by the birth of a daughter, named Yakinthi (later called "Jackie"), in 1917 nor the birth of a son, named Vassilis, in 1920. Vassilis's death from meningitis in the summer of 1922 dealt another blow to the marriage. In 1923, after realizing that Litsa was pregnant again, George made the unilateral decision to move his family to America, a decision which Yakinthi recalled was greeted with Litsa "shouting hysterically" followed by George "slamming doors". The family left for New York in July 1923, moving first into an apartment in the heavily ethnic Greek neighborhood of Astoria, Queens. Litsa was convinced that her third child would be a boy; her disappointment at the birth of another daughter was so great that she refused to even look at her new baby for four days. Maria was christened three years later at the Archdiocesan Cathedral of the Holy Trinity in 1926. When Maria was 4, George Callas opened his own pharmacy, settling the family in Manhattan on 192nd Street in Washington Heights where Callas grew up. Around the age of three, Maria's musical talent began to manifest itself, and after Litsa discovered that her youngest daughter also had a voice, she began pressing "Mary" to sing. Callas later recalled, "I was made to sing when I was only five, and I hated it." George was unhappy with his wife favoring their elder daughter, as well as the pressure put upon young Mary to sing and perform while Litsa was in turn increasingly embittered with George and his absences and infidelity and often violently reviled him in front of their children. The marriage continued to deteriorate and, in 1937, Litsa decided to return to Athens with her two daughters. In 1957, she told Chicago radio host Norman Ross Jr., "There must be a law against forcing children to perform at an early age. Children should have a wonderful childhood. They should not be given too much responsibility." 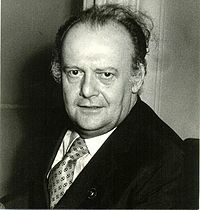 Biographer Nicholas Petsalis-Diomidis [el] asserts that Litsa's hateful treatment of George in front of their young children led to resentment and dislike on Callas's part. According to both Callas's husband and her close friend Giulietta Simionato, Callas related to them that her mother, who did not work, pressed her to "go out with various men", mainly Italian and German soldiers, to bring home money and food during the Axis occupation of Greece during World War II. Simionato was convinced that Callas "managed to remain untouched", but Callas never forgave her mother for what she perceived as a kind of prostitution forced on her by her mother. Litsa herself, beginning in New York and continuing in Athens, had adopted a questionable lifestyle, that included not only pushing her daughters into degrading situations to support her financially but also entertaining Italian and German soldiers herself during the Axis occupation. In an attempt to patch things up with her mother, Callas took Litsa along on her first visit to Mexico in 1950, but this only reawakened the old frictions and resentments, and after leaving Mexico, the two never met again. After a series of angry and accusatory letters from Litsa lambasting Callas's father and husband, Callas ceased communication with her mother altogether. had a French method, which was placing the voice in the nose, rather nasal... and I had the problem of not having low chest tones, which is essential in bel canto... And that's where I learned my chest tones. However, when interviewed by Pierre Desgraupes [fr] on the French program L'invitée du dimanche, Callas attributed the development of her chest voice not to Trivella, but to her next teacher, the Spanish coloratura soprano Elvira de Hidalgo. Callas studied with Trivella for two years before her mother secured another audition at the Athens Conservatoire with de Hidalgo. Callas auditioned with "Ocean, Thou Mighty Monster" from Weber's Oberon. De Hidalgo recalled hearing "tempestuous, extravagant cascades of sounds, as yet uncontrolled but full of drama and emotion". She agreed to take her as a pupil immediately, but Callas's mother asked de Hidalgo to wait for a year, as Callas would be graduating from the National Conservatoire and could begin working. On April 2, 1939, Callas undertook the part of Santuzza in a student production of Mascagni's Cavalleria rusticana at the Greek National Opera at the Olympia Theatre, and in the fall of the same year she enrolled at the Athens Conservatoire in Elvira de Hidalgo's class. Callas made her professional debut in February 1941, in the small role of Beatrice in Franz von Suppé's Boccaccio. Soprano Galatea Amaxopoulou, who sang in the chorus, later recalled, "Even in rehearsal, Maria's fantastic performing ability had been obvious, and from then on, the others started trying ways of preventing her from appearing." Fellow singer Maria Alkeou similarly recalled that the established sopranos Nafsika Galanou and Anna (Zozó) Remmoundou "used to stand in the wings while [Callas] was singing and make remarks about her, muttering, laughing, and point their fingers at her". Following these performances, even Callas's detractors began to refer to her as "The God-Given". Some time later, watching Callas rehearse Beethoven's Fidelio, erstwhile rival soprano Anna Remoundou asked a colleague, "Could it be that there is something divine and we haven't realized it?" Following Tiefland, Callas sang the role of Santuzza in Cavalleria rusticana again and followed it with O Protomastoras [el] (Manolis Kalomiris) at the ancient Odeon of Herodes Atticus theatre at the foot of the Acropolis. When Maria Kaloyeropoulou's Leonore let her soprano soar out radiantly in the untrammelled jubilation of the duet, she rose to the most sublime heights. ... Here she gave bud, blossom and fruit to that harmony of sound that also ennobled the art of the prima donne. After the liberation of Greece, de Hidalgo advised Callas to establish herself in Italy. Callas proceeded to give a series of concerts around Greece, and then, against her teacher's advice, she returned to America to see her father and to further pursue her career. When she left Greece on September 14, 1945, two months short of her 22nd birthday, Callas had given 56 performances in seven operas and had appeared in around 20 recitals. Callas considered her Greek career as the foundation of her musical and dramatic upbringing, saying, "When I got to the big career, there were no surprises for me." Callas maintained that the Met offered her Madama Butterfly and Fidelio, to be performed in Philadelphia and sung in English, both of which she declined, feeling she was too fat for Butterfly and did not like the idea of opera in English. Although no written evidence of this offer exists in the Met's records, in a 1958 interview with the New York Post, Johnson corroborated Callas's story: "We offered her a contract, but she didn't like it—because of the contract, not because of the roles. She was right in turning it down—it was frankly a beginner's contract." In 1946, Callas was engaged to re-open the opera house in Chicago as Turandot, but the company folded before opening. Basso Nicola Rossi-Lemeni, who also was to star in this opera, was aware that Tullio Serafin was looking for a dramatic soprano to cast as La Gioconda at the Arena di Verona. He later recalled the young Callas as being "amazing—so strong physically and spiritually; so certain of her future. I knew in a big outdoor theatre like Verona's, this girl, with her courage and huge voice, would make a tremendous impact." Subsequently he recommended Callas to retired tenor and impresario Giovanni Zenatello. During her audition, Zenatello became so excited that he jumped up and joined Callas in the act 4 duet. It was in this role that Callas made her Italian debut. Upon her arrival in Verona, Callas met Giovanni Battista Meneghini [it], an older, wealthy industrialist, who began courting her. They married in 1949, and he assumed control of her career until 1959, when the marriage dissolved. It was Meneghini's love and support that gave Callas the time needed to establish herself in Italy, and throughout the prime of her career, she went by the name of Maria Meneghini Callas. After La Gioconda, Callas had no further offers, and when Serafin, looking for someone to sing Isolde, called on her, she told him that she already knew the score, even though she had looked at only the first act out of curiosity while at the conservatory. She sight-read the opera's second act for Serafin, who praised her for knowing the role so well, whereupon she admitted to having bluffed and having sight-read the music. Even more impressed, Serafin immediately cast her in the role. Serafin thereafter served as Callas's mentor and supporter. The great turning point in Callas's career occurred in Venice in 1949. She was engaged to sing the role of Brünnhilde in Die Walküre at the Teatro la Fenice, when Margherita Carosio, who was engaged to sing Elvira in I puritani in the same theatre, fell ill. Unable to find a replacement for Carosio, Serafin told Callas that she would be singing Elvira in six days; when Callas protested that she not only did not know the role, but also had three more Brünnhildes to sing, he told her "I guarantee that you can.". Michael Scott's words, "the notion of any one singer embracing music as divergent in its vocal demands as Wagner's Brünnhilde and Bellini's Elvira in the same career would have been cause enough for surprise; but to attempt to essay them both in the same season seemed like folie de grandeur". Before the performance actually took place, one incredulous critic snorted, "We hear that Serafin has agreed to conduct I puritani with a dramatic soprano ... When can we expect a new edition of La traviata with [baritone] Gino Bechi's Violetta?" After the performance, one critic wrote, "Even the most sceptical had to acknowledge the miracle that Maria Callas accomplished... the flexibility of her limpid, beautifully poised voice, and her splendid high notes. Her interpretation also has a humanity, warmth and expressiveness that one would search for in vain in the fragile, pellucid coldness of other Elviras." Franco Zeffirelli recalled, "What she did in Venice was really incredible. You need to be familiar with opera to realize the size of her achievement. It was as if someone asked Birgit Nilsson, who is famous for her great Wagnerian voice, to substitute overnight for Beverly Sills, who is one of the great coloratura sopranos of our time." Scott asserts that "Of all the many roles Callas undertook, it is doubtful if any had a more far-reaching effect." This initial foray into the bel canto repertoire changed the course of Callas's career and set her on a path leading to Lucia di Lammermoor, La traviata, Armida, La sonnambula, Il pirata, Il turco in Italia, Medea, and Anna Bolena, and reawakened interest in the long-neglected operas of Cherubini, Bellini, Donizetti and Rossini. Menotti recalls that Ghiringhelli had promised him any singer he wanted for the premiere of The Consul, but when he suggested Callas, Ghiringhelli said that he would never have Callas at La Scala except as a guest artist. However, as Callas's fame grew, and especially after her great success in I vespri siciliani in Florence, Ghiringhelli had to relent: Callas made her official debut at La Scala in Verdi's I vespri siciliani on opening night in December 1951, and this theatre became her artistic home throughout the 1950s. La Scala mounted many new productions specially for Callas by directors such as Herbert von Karajan, Margherita Wallmann, Franco Zeffirelli and, most importantly, Luchino Visconti. Visconti stated later that he began directing opera only because of Callas, and he directed her in lavish new productions of La vestale, La traviata, La sonnambula, Anna Bolena and Iphigénie en Tauride. Callas was notably instrumental in arranging Franco Corelli's debut at La Scala in 1954, where he sang Licinio in Spontini's La vestale opposite Callas's Julia. The two had sung together for the first time the year previously in Rome in a production of Norma. Anthony Tommasini wrote that Corelli had "earned great respect from the fearsomely demanding Callas, who, in Mr Corelli, finally had someone with whom she could act." The two collaborated several more times at La Scala, singing opposite each other in productions of Fedora (1956), Il pirata (1958) and Poliuto (1960). Their partnership continued throughout the rest of Callas's career. The night of the day she married Meneghini in Verona, she sailed for Argentina to sing at the Teatro Colón in Buenos Aires. Callas made her South American debut in Buenos Aires on May 20, 1949, during the European summer opera recess. Aida, Turandot and Norma roles were directed by Serafin, supported by Mario Del Monaco, Fedora Barbieri and Nicola Rossi-Lemeni. It was her only appearance on this world-renowned stage. Her debut in the United States was five years later in Chicago in 1954, and "with the Callas Norma, Lyric Opera of Chicago was born." Her Metropolitan Opera debut, opening the Met's seventy-second season on October 29, 1956, was again with Norma, but was preceded with an unflattering cover story in Time magazine, which rehashed all of the Callas clichés, including her temper, her supposed rivalry with Renata Tebaldi and especially her difficult relationship with her mother. As she had done with Lyric Opera of Chicago, on November 21, 1957, Callas gave a concert to inaugurate what then was billed as the Dallas Civic Opera, and helped establish that company with her friends from Chicago, Lawrence Kelly and Nicola Rescigno. She further consolidated this company's standing when, in 1958, she gave "a towering performance as Violetta in La traviata, and that same year, in her only American performances of Medea, gave an interpretation of the title role worthy of Euripides." In 1958, a feud with Rudolf Bing led to Callas's Metropolitan Opera contract being cancelled. Impresario Allen Oxenburg realised that this situation provided him with an opportunity for his own company, the American Opera Society, and he accordingly approached her with a contract to perform Imogene in Il pirata. She accepted and sang the role in a January 1959 performance that according to opera critic Allan Kozinn "quickly became legendary in operatic circles". Bing and Callas later reconciled their differences, and she returned to the house in 1965 to sing the title role in two performances as Tosca opposite Franco Corelli as Cavaradossi for one performance (March 19, 1965) and Richard Tucker (March 25, 1965) with Tito Gobbi as Scarpia for her final performances at the Met. In 1952, she made her London debut at the Royal Opera House in Norma with veteran mezzo-soprano Ebe Stignani as Adalgisa, a performance which survives on record and also features the young Joan Sutherland in the small role of Clotilde. Callas and the London public had what she herself called "a love affair", and she returned to the Royal Opera House in 1953, 1957, 1958, 1959, and 1964 to 1965. It was at the Royal Opera House where, on July 5, 1965, Callas ended her stage career in the role of Tosca, in a production designed and mounted for her by Franco Zeffirelli and featuring her friend and colleague Tito Gobbi. During 1953 and early 1954, she lost almost 80 pounds (36 kg), turning herself into what Rescigno called "possibly the most beautiful lady on the stage". Sir Rudolf Bing, who remembered Callas as being "monstrously fat" in 1951, stated that after the weight loss, Callas was an "astonishing, svelte, striking woman" who "showed none of the signs one usually finds in a fat woman who has lost weight: she looked as though she had been born to that slender and graceful figure, and had always moved with that elegance." Various rumors spread regarding her weight loss method; one had her swallowing a tapeworm, while Rome's Panatella Mills pasta company claimed she lost weight by eating their "physiologic pasta", prompting Callas to file a lawsuit. Callas stated that she lost the weight by eating a sensible low-calorie diet of mainly salads and chicken. Some believe that the loss of body mass made it more difficult for her to support her voice, triggering the vocal strain that became apparent later in the decade, while others believed the weight loss effected a newfound softness and femininity in her voice, as well as a greater confidence as a person and performer. Tito Gobbi said, "Now she was not only supremely gifted both musically and dramatically—she was a beauty too. And her awareness of this invested with fresh magic every role she undertook. What it eventually did to her vocal and nervous stamina I am not prepared to say. I only assert that she blossomed into an artist unique in her generation and outstanding in the whole range of vocal history." Callas's voice was and remains controversial; it bothered and disturbed as many as it thrilled and inspired. Walter Legge stated that Callas possessed that most essential ingredient for a great singer: an instantly recognizable voice. Regarding the sheer size of Callas's instrument, Celletti says, "Her voice was penetrating. The volume as such was average: neither small nor powerful. But the penetration, allied to this incisive quality (which bordered on the ugly because it frequently contained an element of harshness) ensured that her voice could be clearly heard anywhere in the auditorium." Rodolfo Celletti wrote that Callas had "a voluminous, penetrating, and dark voice" (una voce voluminosa, squillante e di timbro scuro). After her first performance of Medea in 1953, the critic for Musical Courier wrote that "she displayed a vocal generosity that was scarcely believable for its amplitude and resilience." In a 1982 Opera News interview with Joan Sutherland and Richard Bonynge, Bonynge stated, "But before she slimmed down, I mean this was such a colossal voice. It just poured out of her, the way Flagstad's did.... Callas had a huge voice. When she and Stignani sang Norma, at the bottom of the range you could barely tell who was who ... Oh it was colossal. And she took the big sound right up to the top." In his book, Michael Scott makes the distinction that whereas Callas's pre-1954 voice was a "dramatic soprano with an exceptional top", after the weight loss, it became, as one Chicago critic described the voice in Lucia, a "huge soprano leggiero". In performance, Callas's vocal range was just short of three octaves, from F-sharp (F♯3) below middle C (C4) heard in "Arrigo! Ah parli a un core" from I vespri siciliani to E-natural (E6) above high C (C6), heard in the aria "Mercè, dilette amiche" in the final act of the same opera, as well as in Rossini's Armida and Lakmé's Bell Song. Whether or not Callas ever sang a high F-natural in performance has been open to debate. After her June 11, 1951, concert in Florence, Rock Ferris of Musical Courier said, "Her high E's and F's are taken full voice." Although no definite recording of Callas singing high Fs has surfaced, the presumed E-natural at the end of Rossini's Armida—a poor-quality bootleg recording of uncertain pitch—has been referred to as a high F by Italian musicologists and critics Eugenio Gara and Rodolfo Celletti. Callas expert Dr. Robert Seletsky, however, stated that since the finale of Armida is in the key of E, the final note could not have been an F, as it would have been dissonant. Author Eve Ruggieri has referred to the penultimate note in "Mercè, dilette amiche" from the 1951 Florence performances of I vespri siciliani as a high F; however, this claim is refuted by John Ardoin's review of the live recording of the performance as well as by the review of the recording in Opera News, both of which refer to the note as a high E-natural. In a 1969 French television interview with Pierre Desgraupes [fr] on the program L'invitée du dimanche, Francesco Siciliani [it] speaks of Callas's voice going to high F (he also talked about her lower register extending to C3), but within the same program, Callas's teacher, Elvira de Hidalgo, speaks of the voice soaring to a high E-natural but does not mention a high F; meanwhile, Callas herself remains silent on the subject, neither agreeing nor disagreeing with either claim. Callas's voice was noted for its three distinct registers: Her low or chest register was extremely dark and almost baritonal in power, and she used this part of her voice for dramatic effect, often going into this register much higher on the scale than most sopranos. Her middle register had a peculiar and highly personal sound—"part oboe, part clarinet", as Claudia Cassidy described it—and was noted for its veiled or "bottled" sound, as if she were singing into a jug. Walter Legge, husband of diva Elisabeth Schwarzkopf, attributed this sound to the "extraordinary formation of her upper palate, shaped like a Gothic arch, not the Romanesque arch of the normal mouth". The upper register was ample and bright, with an impressive extension above high C, which—in contrast to the light flute-like sound of the typical coloratura, "she would attack these notes with more vehemence and power—quite differently therefore, from the very delicate, cautious, 'white' approach of the light sopranos." Legge adds, "Even in the most difficult fioriture there were no musical or technical difficulties in this part of the voice which she could not execute with astonishing, unostentatious ease. Her chromatic runs, particularly downwards, were beautifully smooth and staccatos almost unfailingly accurate, even in the trickiest intervals. There is hardly a bar in the whole range of nineteenth-century music for high soprano that seriously tested her powers." And as she demonstrated in the finale of La sonnambula on the commercial EMI set and the live recording from Cologne, she was able to execute a diminuendo on the stratospheric high E-flat, which Scott describes as "a feat unrivaled in the history of the gramophone." This combination of size, weight, range and agility was a source of amazement to Callas's own contemporaries. One of the choristers present at her La Scala debut in I vespri siciliani recalled, "My God! She came on stage sounding like our deepest contralto, Cloe Elmo. And before the evening was over, she took a high E-flat. And it was twice as strong as Toti Dal Monte's!" In the same vein, mezzo-soprano Giulietta Simionato said: "The first time we sang together was in Mexico in 1950, where she sang the top E-flat in the second-act finale of Aida. I can still remember the effect of that note in the opera house—it was like a star!" For Italian soprano Renata Tebaldi, "the most fantastic thing was the possibility for her to sing the soprano coloratura with this big voice! This was something really special. Fantastic absolutely!" As to whether these troublesome spots were due to the nature of the voice itself or to technical deficiencies, Celletti says: "Even if, when passing from one register to another, Callas produced an unpleasant sound, the technique she used for these transitions was perfect." Musicologist and critic Fedele D'Amico [it] adds, "Callas's 'faults' were in the voice and not in the singer; they are so to speak, faults of departure but not of arrival. This is precisely Celletti's distinction between the natural quality of the voice and the technique." In 2005, Ewa Podleś said of Callas, "Maybe she had three voices, maybe she had three ranges, I don't know—I am a professional singer. Nothing disturbed me, nothing! I bought everything that she offered me. Why? Because all of her voices, her registers, she used how they should be used—just to tell us something!" Though adored by many opera enthusiasts, Callas was a controversial artist. While Callas was the great singer often dismissed simply as an actress she considered herself foremost a musician, that is, the first instrument of the orchestra." Grace Bumbry has stated, "If I followed the musical score when she was singing, I would see every tempo marking, every dynamic marking, everything being adhered to, and at the same time, it was not antiseptic; it was something that was very beautiful and moving." Victor de Sabata confided to Walter Legge[when? ], "If the public could understand, as we do, how deeply and utterly musical Callas is, they would be stunned", and Serafin assessed Callas's musicality as "extraordinary, almost frightening." Callas possessed an innate architectural sense of line-proportion and an uncanny feel for timing and for what one of her colleagues described as "a sense of the rhythm within the rhythm". Regarding Callas's acting ability, vocal coach and music critic Ira Siff remarked, "When I saw the final two Toscas she did in the old [Met], I felt like I was watching the actual story on which the opera had later been based." Callas was not, however, a realistic or verismo style actress: her physical acting was merely "subsidiary to the heavy Kunst of developing the psychology of the roles under the supervision of the music, of singing the acting... Suffering, delight, humility, hubris, despair, rhapsody—all this was musically appointed, through her use of the voice flying the text upon the notes." Seconding this opinion, verismo specialist soprano Augusta Oltrabella said, "Despite what everyone says, [Callas] was an actress in the expression of the music, and not vice versa." Ewa Podleś likewise stated that "It's enough to hear her, I'm positive! Because she could say everything only with her voice! I can imagine everything, I can see everything in front of my eye." Opera director Sandro Sequi, who witnessed many Callas performances close-up, states, "For me, she was extremely stylized and classic, yet at the same time, human—but humanity on a higher plane of existence, almost sublime. Realism was foreign to her, and that is why she was the greatest of opera singers. After all, opera is the least realistic of theater forms... She was wasted in verismo roles, even Tosca, no matter how brilliantly she could act such roles." Scott adds, "Early nineteenth-century opera... is not merely the antithesis of reality, it also requires highly stylized acting. Callas had the perfect face for it. Her big features matched its grandiloquence and spoke volumes from a distance." According to John Ardoin, however, these two singers should never have been compared. Tebaldi was trained by Carmen Melis, a noted verismo specialist, and she was rooted in the early 20th century Italian school of singing just as firmly as Callas was rooted in 19th century bel canto. Callas was a dramatic soprano, whereas Tebaldi considered herself essentially a lyric soprano. Callas and Tebaldi generally sang a different repertoire: in the early years of her career, Callas concentrated on the heavy dramatic soprano roles and later in her career on the bel canto repertoire, whereas Tebaldi concentrated on late Verdi and verismo roles, where her limited upper extension and her lack of a florid technique were not issues. They shared a few roles, including Tosca in Puccini's opera and La Gioconda, which Tebaldi performed only late in her career. The alleged rivalry aside, Callas made remarks appreciative of Tebaldi, and vice versa. During an interview with Norman Ross Jr. in Chicago, Callas said, "I admire Tebaldi's tone; it's beautiful—also some beautiful phrasing. Sometimes, I actually wish I had her voice." Francis Robinson of the Met wrote of an incident in which Tebaldi asked him to recommend a recording of La Gioconda in order to help her learn the role. Being fully aware of the alleged rivalry, he recommended Zinka Milanov's version. A few days later, he went to visit Tebaldi, only to find her sitting by the speakers, listening intently to Callas's recording. She then looked up at him and asked, "Why didn't you tell me Maria's was the best?" Louise Caselotti, who worked with Callas in 1946 and 1947, prior to her Italian debut, felt that it was not the heavy roles that hurt Callas's voice, but the lighter ones. Several singers have suggested that Callas's heavy use of the chest voice led to stridency and unsteadiness with the high notes. In his book, Callas's husband Meneghini wrote that Callas suffered an unusually early onset of menopause, which could have affected her voice. Soprano Carol Neblett once said, "A woman sings with her ovaries—you're only as good as your hormones." [Hearing Callas in Norma in 1952] was a shock, a wonderful shock. You just got shivers up and down the spine. It was a bigger sound in those earlier performances, before she lost weight. I think she tried very hard to recreate the sort of "fatness" of the sound which she had when she was as fat as she was. But when she lost the weight, she couldn't seem to sustain the great sound that she had made, and the body seemed to be too frail to support that sound that she was making. Oh, but it was oh so exciting. It was thrilling. I don't think that anyone who heard Callas after 1955 really heard the Callas voice. Michael Scott has proposed that Callas's loss of strength and breath support was directly caused by her rapid and progressive weight loss, something that was noted even in her prime. Of her 1958 recital in Chicago, Robert Detmer wrote, "There were sounds fearfully uncontrolled, forced beyond the too-slim singer's present capacity to support or sustain." In recordings from 1954 (immediately after her 80-pound weight loss) and thereafter, "not only would the instrument lose its warmth and become thin and acidulous, but the altitudinous passages would to her no longer come easily." It was at this time that unsteady top notes first begin to appear. Walter Legge, who produced nearly all of Callas's EMI/Angel recordings, states that Callas "ran into a patch of vocal difficulties as early as 1954": during the recording of La forza del destino, done immediately after the weight loss, the "wobble had become so pronounced" that he told Callas they "would have to give away seasickness pills with every side". There were others, however, who felt that the voice had benefitted from the weight loss. Of her performance of Norma in Chicago in 1954, Claudia Cassidy wrote that "there is a slight unsteadiness in some of the sustained upper notes, but to me her voice is more beautiful in color, more even through the range, than it used to be". And at her performance of the same opera in London in 1957 (her first performance at Covent Garden after the weight loss), critics again felt her voice had changed for the better, that it had now supposedly become a more precise instrument, with a new focus. Many of her most critically acclaimed appearances are from 1954–58 (Norma, La traviata, Sonnambula and Lucia of 1955, Anna Bolena of 1957, Medea of 1958, among others). In support of Gobbi's assertion, a bootleg recording of Callas rehearsing Beethoven's aria "Ah! perfido" and parts of Verdi's La forza del destino shortly before her death shows her voice to be in much better shape than much of her 1960s recordings and far healthier than the 1970s concerts with Giuseppe Di Stefano. My best recordings were made when I was skinny, and I say skinny, not slim, because I worked a lot and couldn't gain weight back; I became even too skinny ... I had my greatest successes — Lucia, Sonnambula, Medea, Anna Bolena — when I was skinny as a nail. Even for my first time here in Paris in 1958 when the show was broadcast through Eurovision, I was skinny. Really skinny." A 2010 study by Italian vocal researchers Franco Fussi and Nico Paolillo revealed Callas was very ill at the time of her death and her illness was related to her vocal deterioration. According to their findings, presented at the University of Bologna in 2010, Callas had dermatomyositis, a disease that causes a failure of the muscles and tissues, including the larynx. They believe she was showing signs of this disease as early as the 1960s. Fussi and Paolillo cite an initial report by physician Mario Giacovazzo, who in 2002 revealed he had diagnosed Callas with dermatomyositis in 1975. Treatment includes corticosteroids and immunosuppressive agents, which affect heart function. Callas's relationship with La Scala had also started to become strained after the Edinburgh incident, and this effectively severed her major ties with her artistic home. Later in 1958, Callas and Rudolf Bing were in discussion about her season at the Met. She was scheduled to perform in Verdi's La traviata and in Macbeth, two very different operas which almost require totally different singers. Callas and the Met could not reach an agreement, and before the opening of Medea in Dallas, Bing sent a telegram to Callas terminating her contract. Headlines of "Bing Fires Callas" appeared in newspapers around the world. Nicola Rescigno later recalled, "That night, she came to the theater, looking like an empress: she wore an ermine thing that draped to the floor, and she had every piece of jewellery she ever owned. And she said, 'You all know what's happened. Tonight, for me, is a very difficult night, and I will need the help of every one of you.' Well, she proceeded to give a performance [of Medea] that was historical." Bing later said that Callas was the most difficult artist he ever worked with, "because she was so much more intelligent. Other artists, you could get around. But Callas you could not get around. She knew exactly what she wanted, and why she wanted it." Despite this, Bing's admiration for Callas never wavered, and in September 1959, he sneaked into La Scala in order to listen to Callas record La Gioconda for EMI. Callas and Bing reconciled in the mid 1960s, and Callas returned to the Met for two performances of Tosca with her friend Tito Gobbi. From October 1971 to March 1972, Callas gave a series of master classes at the Juilliard School in New York. These classes later formed the basis of Terrence McNally's 1995 play Master Class. 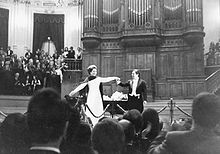 Callas staged a series of joint recitals in Europe in 1973 and in the U.S., South Korea, and Japan in 1974 with the tenor Giuseppe Di Stefano. Critically, this was a musical disaster owing to both performers' worn-out voices. However, the tour was an enormous popular success. Audiences thronged to hear the two performers, who had so often appeared together in their prime. Her final public performance was on November 11, 1974, in Sapporo, Japan. In 1957, while still married to husband Giovanni Battista Meneghini, Callas was introduced to Greek shipping magnate Aristotle Onassis at a party given in her honor by Elsa Maxwell after a performance in Donizetti's Anna Bolena. The affair that followed received much publicity in the popular press, and in November 1959, Callas left her husband. Michael Scott asserts that Onassis was not why Callas largely abandoned her career, but that he offered her a way out of a career that was made increasingly difficult by scandals and by vocal resources that were diminishing at an alarming rate. Franco Zeffirelli, on the other hand, recalls asking Callas in 1963 why she had not practiced her singing, and Callas responding that "I have been trying to fulfill my life as a woman." According to one of her biographers, Nicholas Gage, Callas and Onassis had a child, a boy, who died hours after he was born on March 30, 1960. In his book about his wife, Meneghini states categorically that Maria Callas was unable to bear children. As well, various sources dismiss Gage's claim, as they note that the birth certificates Gage used to prove this "secret child" were issued in 1998, twenty-one years after Callas's death. Still other sources claim that Callas had at least one abortion while involved with Onassis. In 1966, Callas renounced her U.S. citizenship at the American Embassy in Paris, to facilitate the end of her marriage to Meneghini. This was because after her renunciation, she was only a Greek citizen, and under Greek law a Greek could only legally marry in a Greek Orthodox church. As she had married in a Roman Catholic church, this divorced her in every country except Italy. The renunciation also helped her finances, as she no longer had to pay U.S. taxes on her income. The relationship ended two years later in 1968, when Onassis left Callas in favor of Jacqueline Kennedy. 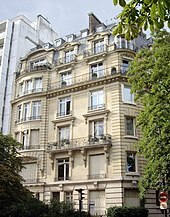 However, the Onassis family's private secretary, Kiki, writes in her memoir that even while Aristotle was with Jackie, he frequently met with Maria in Paris, where they resumed what had now become a clandestine affair. Callas spent her last years living largely in isolation in Paris and died of a heart attack at age 53 on September 16, 1977. A funerary liturgy was held at Agios Stephanos (St. Stephen's) Greek Orthodox Cathedral on rue Georges-Bizet, Paris on September 20, 1977. She was later cremated at the Père Lachaise Cemetery and her ashes were placed in the columbarium there. After being stolen and later recovered, they were scattered over the Aegean Sea, off the coast of Greece, according to her wish, in the spring of 1979. That's such a difficult question. There are times, you know, when there are people – certain people who are blessed, and cursed, with an extraordinary gift, in which the gift is almost greater than the human being. And Callas was one of these people. It was almost as if her wishes, her life, her own happiness were all subservient to this incredible, incredible gift that she was given, this gift that reached out and taught us all – taught us things about music we knew very well, but showed us new things, things we never thought about, new possibilities. I think that's why singers admire her so; I think that's why conductors admire her so; I know that's why I admire her so. And she paid a tremendously difficult and expensive price for this career. I don't think she always understood what she did or why she did. She knew she had a tremendous effect on audiences and on people. But it was not something that she could always live with gracefully or happily. I once said to her, "It must be very enviable to be Maria Callas." And she said, "No, it's a very terrible thing to be Maria Callas, because it's a question of trying to understand something you can never really understand." Because she couldn't explain what she did – it was all done by instinct; it was something, incredibly, embedded deep within her. According to several Callas biographers Vasso Devetzi, a female Greek pianist near the same age as Callas, insinuated herself into Callas's trust during her last years and acted virtually as her agent. This claim is corroborated by Iakintha (Jackie) Callas in her 1990 book Sisters, wherein she asserts that Devetzi conned Maria out of control of half of her estate, while promising to establish the Maria Callas Foundation to provide scholarships for young singers; after hundreds of thousands of dollars had allegedly vanished, Devetzi finally did establish the foundation. Terrence McNally's play Master Class, which premiered in 1995, presents Callas as a glamorous, commanding, larger-than-life, caustic, and surprisingly drop-dead funny pedagogue holding a voice master class. Alternately dismayed and impressed by the students who parade before her, she retreats into recollections about the glories of her own life and career, culminating in a monologue about sacrifice taken for art. Several selections of Callas actually singing are played during the recollections. In 1997, she was featured as one of 18 significant historical figures in Apple, Inc.'s Think different advertisement. In 2002, Franco Zeffirelli produced and directed a film in Callas's memory. Callas Forever was a highly fictionalized motion picture in which Callas was played by Fanny Ardant. It depicted the last months of Callas's life, when she was seduced into the making of a movie of Carmen, lip-synching to her 1964 recording of that opera. In 2007, Callas was posthumously awarded the Grammy Lifetime Achievement Award. In the same year, she was voted the greatest soprano of all time by BBC Music Magazine. The 30th anniversary of the death of Maria Callas was selected as the main motif for a high value euro collectors' coin: the €10 Greek Maria Callas commemorative coin, minted in 2007. Her image is shown in the obverse of the coin, while on the reverse the National Emblem of Greece with her signature is depicted. On December 2, 2008, on the 85th anniversary of Callas's birth, a group of Greek and Italian officials unveiled a plaque in her honor at Flower Hospital (now the Terence Cardinal Cooke Health Care Center) where she was born. Made of Carrara marble and engraved in Italy, the plaque reads, "Maria Callas was born in this hospital on December 2, 1923. These halls heard for the first time the musical notes of her voice, a voice which has conquered the world. To this great interpreter of universal language of music, with gratitude." In 2012, Callas was voted into Gramophone's Hall of Fame. Asteroid 29834 Mariacallas was named in her memory. The official naming citation was published by the Minor Planet Center on 31 January 2018 (M.P.C. 108697). In 2018, the documentary Maria by Callas was released, which depicts Callas' life and work in her own words by using her interviews, letters, and performances to tell her story. Enigma released the instrumental "Callas Went Away" using samples of Callas's voice, on their 1990 album MCMXC a.D.
Buffalo Tom's 2007 album Three Easy Pieces contains the song "C.C. and Callas", which appears to be about songwriter Chris Colbourn's reflections on Callas. 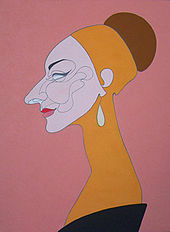 "La diva", on Celine Dion's 2007 French language album D'elles is about Maria Callas. The track samples the 1956 recording of La bohème. All recordings are in mono unless otherwise indicated. Live performances are typically available on multiple labels. In 2014, Warner Classics (formerly EMI Classics) released the Maria Callas Remastered Edition, consisting of her complete studio recordings totaling 39 albums in a boxed set remastered at Abbey Road Studios in 24-bit/96 kHz digital sound from original master tapes. Verdi, Il trovatore, conducted by Guido Picco, live performance, Mexico City, June 20, 1950. In the aria "D'amor sull'ali rosee", Callas sings Verdi's original high D flat, likewise in her 1951 San Carlo performance. Verdi, La traviata, conducted by Nicola Rescigno, live performance, London, June 20, 1958; considered by many critics to be Callas's most notable recording of Verdi's famous opera. Music critic John Ardoin wrote that in this performance "Callas' use of her voice to expressive ends amounts to an amalgamation of the best in previous Traviatas. For even though her voice betrays her at times, her intellect and spirit have now conquered the part in a manner that outdistances all others." Bizet, Carmen, conducted by Georges Prêtre, studio recording for EMI in stereo, July 1964. It is her only performance of the role, and her only performance of the complete opera; she never appeared in it onstage. The recording used the recitatives added after Bizet's death. Callas's performance caused critic Harold C. Schonberg to speculate in his book The Glorious Ones that Callas perhaps should have sung mezzo roles instead of simply soprano ones. ^ Jellinek, George (1986). Callas: Portrait of a Prima Donna. Courier Dover Publications. p. 186. ISBN 978-0486250472. Retrieved April 6, 2013. ^ "PBS tribute to Callas on the Anniversary of her Death", introduction by Leonard Bernstein, 1983. ^ Driscoll, F. Paul; Brian Kellow (August 2006). "The 25 Most Powerful Names in U.S. Opera". Opera News. 71 (H2). ^ a b Petsalis-Diomidis 2001, p. 35. ^ Jellinek, George (1986). Callas: Portrait of a Prima Donna. Courier Dover Publications. p. 4. ISBN 978-0486250472. Retrieved April 16, 2018. ^ Petsalis-Diomidis 2001, p. 36. ^ Petsalis-Diomidis 2001, p. 27. ^ Petsalis-Diomidis 2001, pp. 27–30. ^ Petsalis-Diomidis 2001, p. 32. ^ Anne Edwards (August 18, 2001). Maria Callas: An Intimate Biography. ISBN 9780312269869. Retrieved January 5, 2013. ^ Petsalis-Diomidis 2001, p. 40. ^ a b c d e f g h i j Stassinopoulos, Ariana (1981). Maria Callas: The Woman Behind the Legend. New York: Simon and Schuster. ISBN 978-0-671-25583-1. ^ Petsalis-Diomidis 2001, p. 41-42, 74-75. ^ Petsalis-Diomidis 2001, p. 75-76. ^ a b "The Prima Donna", Time, 68 (18), October 29, 1956 See also the cover. ^ Jellinek, George (1986) [1st pub. 1960]. Callas: Portrait of a Prima Donna (Revised ed.). New York: Dover. p. 316. ISBN 0486250474. ^ Petsalis-Diomidis 2001, pp. 37–38, 62, 75–76. ^ Petsalis-Diomidis 2001, pp. 241–247. ^ Petsalis-Diomidis 2001, pp. 75, 108-121, 242–247. ^ a b c d e f g h i j k l m n o p q r s Scott, Michael (1992). Maria Meneghini Callas. Boston: Northeastern University Press. ISBN 978-1-55553-146-1. ^ a b c d e f g h i j k l m n o p q r s t u v w Petsalis-Diomidis 2001, p. [page needed]. ^ a b c d Interview with Lord Harewood, Paris, 1968. Complete audio recording of the interview, including portions not released on DVD, The Callas Edition, on 3 CDs. ^ a b c d e f g h i j k l m n John Ardoin (writer), Franco Zeffirelli (narrator) (1978). Callas: A Documentary (Plus Bonus) (TV documentary, DVD). The Bel Canto Society. ^ a b c d Maria Callas in conversation with Lord Harewood for the BBC, Paris, April 1968. Maria Callas: The Callas Conversations (DVD). EMI Classics. ^ a b c d e f g h Interview with Edward Downes. La Divina Complete, CD 4. EMI Classics. ^ a b c d e f g h i j k l m n o p q r s t u v w x y z aa ab Ardoin, John; Gerald Fitzgerald (1974). Callas: The Art and the Life. New York: Holt, Rinehart and Winston. ISBN 978-0-03-011486-1. ^ a b Callas in her Own Words. Audio documentary. 3 CDs. Eklipse Records. EKR P-14. ^ a b c d e f g David A. Lowe, ed. (1986). Callas: As They Saw Her. New York: Ungar Publishing Company. ISBN 978-0-8044-5636-4. ^ Levine, Robert (2003). Maria Callas: A Musical Biography. Black Dog & Leventhal. p. 46. ISBN 9781579122836. ^ Huffington, Arianna (2002). Maria Callas: The Woman behind the Legend. Cooper Square Press. p. 79. ISBN 9781461624295. ^ a b c d e f g h i j Ardoin, John (1991). The Callas Legacy. Old Tappan, New Jersey: Scribner and Sons. ISBN 978-0-684-19306-9. ^ Anthony Tommasini (October 30, 2003). "Franco Corelli, Italian Tenor of Power and Charisma, and Pillar of the Met, Dies at 82". The New York Times. Retrieved May 16, 2009. ^ von Rhein, John (August 2004). "The Company That Works". Opera News. 69 (2). ^ Ross Parmenter, "Maria Callas Bows at Opening of 'Met'", The New York Times (October 30, 1956), p. 1. ^ Cantrell, Scott (November 2006). "And that Spells Dallas". Opera News. 71 (5). ^ Allan Kozinn (July 7, 1992). "Allen Sven Oxenburg, 64, Dead; American Opera Society Founder". The New York Times. Retrieved August 12, 2009. ^ a b Bing, Rudolf (1972). 5000 Nights at the Opera. Garden City, New York: Doubleday & Co. ISBN 978-0-385-09259-3. ^ a b c d e f g h i j k Schwarzkopf, Elisabeth (1982). On and Off the Record: A Memoir of Walter Legge. New York: Charles Scribner's Sons. ISBN 978-0-684-17451-8. ^ a b c d e f g h i j k l m n o "The Callas Debate". Opera. September – October 1970. ^ a b Siff, Ira, "I Vespri Siciliani: Verdi:, Online edition of Opera News, March 2008. ^ Interview with James Fleetwood, March 13 and 27, 1958, New York, release on The Callas Edition, CED 100343, 1998. ^ Celletti, Rodolfo. Le Grandi Voci – Dizionario Critico-Biografico dei Cantanti. Istituto per la collaborazione Culturale, 1964. (extract). ^ Ruggieri, Eve (2008). La Callas (in French). Succés du livre. p. 85. ISBN 978-2-7382-2307-4. ^ "The Spirit of Giulietta". Opera News. Retrieved April 6, 2013. ^ a b c d e f Whitson, James C. (October 2005). "The Callas Legacy". Opera News. ^ a b c d e Mordden, Ethan (1984). Demented: The World of the Opera Diva. New York: Simon & Schuster. ISBN 978-0-671-66800-6. ^ Dyer, Richard, "The Sopranos", Opera News, March 2001. ^ a b c Rasponi, Lanfranco (June 1985). The Last Prima Donnas. Limelight Editions. ISBN 978-0-87910-040-7. ^ Schneider, Magnus Tessing, 'The Violettas of Patti, Muzio and Callas: Style, interpretation, and the question of legacy', from The Legacy of Opera: Reading Music Theatre as Experience and Performance (Dominic Symonds and Pamela Karantonis, eds.). Rodopi (Amsterdam), ISBN 978-90-420-3691-8, pp. 112–113 (2013). ^ "Renata Tebaldi". Encyclopedia of World Biography. The Gale Group Inc, 2006. Reprinted on Encyclopedia.com. Retrieved 29 July 2016. ^ Robinson, Francis (1979). Celebration: The Metropolitan Opera. Garden City, New Jersey: Doubleday. ISBN 978-0-385-12975-6. ^ Hastings, Stephen (May 2002). "The Spirit of Giulietta". Opera News. ^ Pleasants, Henry (1993). "Maria Meneghini Callas". Opera Quarterly. 10 (2): 159–63. doi:10.1093/oq/10.2.159. ^ "Dame Joan Sutherland Talks about Maria Callas's Voice – BBC interview". YouTube. December 19, 2009. Retrieved April 6, 2013. ^ Curtin, Phyllis. "Review of Demented: The World of the Opera Diva by Ethan Mordden, Franklin Watts 1984". The Opera Quarterly. 4 (4): 129. ; cited in Scott (1992), p. 220. ^ Singer, Barry (October 2006). "Turning Point". Opera News. ^ Giangiorgio Satragni (December 21, 2010). "Opera Legend Maria Callas Didn't Die Of A Broken Heart". La Stampa. Retrieved April 6, 2013. ^ Maria Callas: Life and Art (TV documentary, available on DVD). EMI. 1987. ^ a b Gage, Nicholas (October 3, 2000). Greek Fire: The Story Of Maria Callas and Aristotle Onassis. Knopf. ISBN 978-0-375-40244-9. ^ Meneghini, Giovanni Battista (1982). My Wife Maria Callas. New York: Farrar Straus Giroux. ISBN 978-0-374-21752-5. ^ "Maria Callas Has Renounced US Citizenship". Palm Beach Daily News. April 7, 1966. Retrieved May 12, 2012. ^ "Maria Callas, 53, Is Dead of Heart Attack in Paris". archive.nytimes.com. Retrieved April 18, 2018. ^ Galatopoulos, Stelios (1998). Maria Callas, Sacred Monster. New York: Simon and Schuster. ISBN 978-0-684-85985-9. ^ Edwards, Anne (February 27, 2003). Maria Callas: An Intimate Biography. ISBN 9780312310028. ^ Callas, Jackie (1990). Sisters: A Revealing Portrait of the World's Most Famous Diva. Gordonsville, Virginia: St. Martin's Press. ISBN 978-0-312-03934-9. ^ "Maria Callas (soprano)". Gramophone. Retrieved April 11, 2012. ^ "29834 Mariacallas (1999 FE1)". Minor Planet Center. Retrieved February 6, 2018. ^ "MPC/MPO/MPS Archive". Minor Planet Center. Retrieved February 6, 2018. ^ "'Maria By Callas': The Legendary Opera Singer's Life In Her Own Words". WBUR. December 11, 2018. Retrieved December 13, 2018. ^ "Anna Calvi: A Powerful Voice Is Just One Piece Of Her Art". NPR. March 6, 2011. Retrieved May 5, 2012. ^ Frank Hamilton (2009). "Maria Callas repertoire and performance history" (PDF). FrankHamilton.org. Retrieved March 8, 2015. Salazar, Philippe-Joseph, "Le Mausolée Callas", Liberation, September 26, 1977. Seletsky, Robert E. (2004), "The Performance Practice of Maria Callas: Interpretation and Instinct", The Opera Quarterly, 20/4, pp. 587–602. Seletsky, Robert E., "Callas at EMI: Remastering and Perception"; "A Callas Recording Update"; "A Callas Recording Update...updated", The Opera Quarterly (2000), 16/2, pp. 240–255; 21/2 (2005), pp. 387–391; 21/3, pp. 545–546 (2005). Stancioff, Nadia, Maria: Callas Remembered. An Intimate Portrait of the Private Callas, New York: E. P. Dutton, 1987, ISBN 0-525-24565-0. Wikimedia Commons has media related to Maria Callas.